This Genie control board works for Genie Chain Glide openers having 3 TERMINALS STRIP ON THE MOTOR HEAD. Check sticker on relay box of existing circuit board for the correct part number. 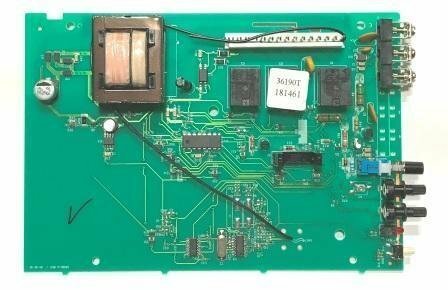 36190T.S Genie Circuit board for garage door openers that have a 3 terminals strip.